Mechanics of materials is also known as strength of materials. In this field of knowledge it is examined how load forces and torques influence for solid bodies and fluids. In general mechanics of materials is a branch of mechanics in which subjects are deformable bodies. Mechanics of materials gives an answer about what is going on inside solid body or fluid. In mechanics of materials it is examined how forces influence for object’s internal structure. Objects, alloys, steel and other types of material have in the solid state crystalline internal structure. Different type of internal structure has glass because it has amorphic internal structure. Amorphic internal structure means that body does not have crystalline structure. Crystalline structure is characterized by orderly positioned atoms. There are numbers of crystalline structures. In amorphic structure atoms are not positioned orderly. Various physics laws are applied in mechanics of materials, nevertheless, the most fundamental law, which is applied, is Hooke’s law. 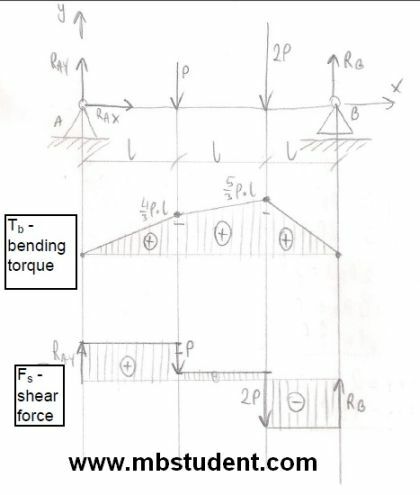 Calculation of shear force and bending torque for various systems of beams. After finishing calculations, diagrams of bending torque and shear force are plotted. 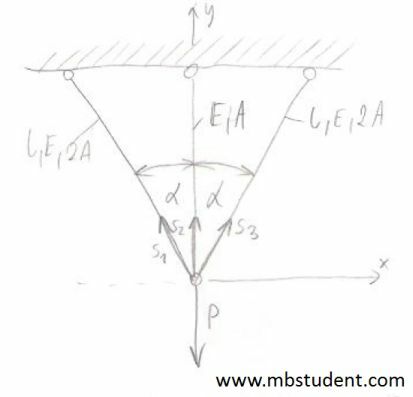 In all exercises static equilibrium equations are used, therefore, good understanding of statics is necessary. System of the beams under load, which are subjects of calculations, are two and three dimensional. Designation of stresses in rods. In all exercises are written equilibrium equations in statics and the next Hooke’s law is used. Rods are stretched and squeezed in examined examples. Various parameters, which influence the value of of strength for specific objects, are calculated analytically. Collection of examples where stress in shafts is calculated. Shafts are under load of: torsion torques, bending torques and shear forces. 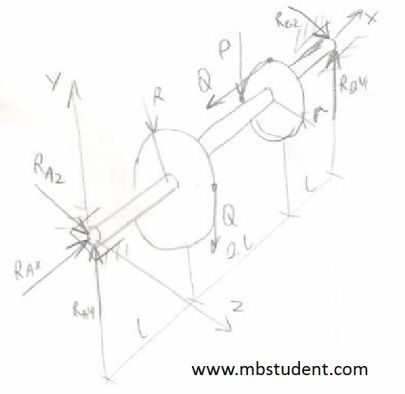 In exercises characteristic of mechanical loads is designated at whole shaft length.